As the weather gets warmer, there is a possibility of some air pollutants reaching higher levels for short periods of time. Each year, as the weather gets warmer, there is a possibility of some air pollutants reaching higher levels for short periods of time, especially if there is still, sunny weather. Whilst most people will not be affected by short term peaks in air pollution, some people, particularly vulnerable groups such as those with existing heart or lung conditions, may experience increased symptoms. 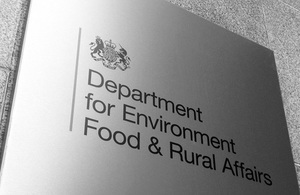 Defra encourages people to take sensible precautions based on the levels of air pollution in their region and their health, such as reducing or avoiding strenuous activity and ensuring they have access to their usual medication, such as asthma inhalers. Find out what the air quality is like in your region via the following link: http://uk-air.defra.gov.uk or by calling Defra’s freephone helpline on 0800 556677. These sources also offer health advice based on current air pollution levels to the general public and those who may be particularly sensitive to air pollution. You can subscribe through the website to email bulletins for pollution forecasts and latest pollution information.